This is a very easy, but very tasty meal for a busy person. Add a large green salad- and presto! Dinner is ready! 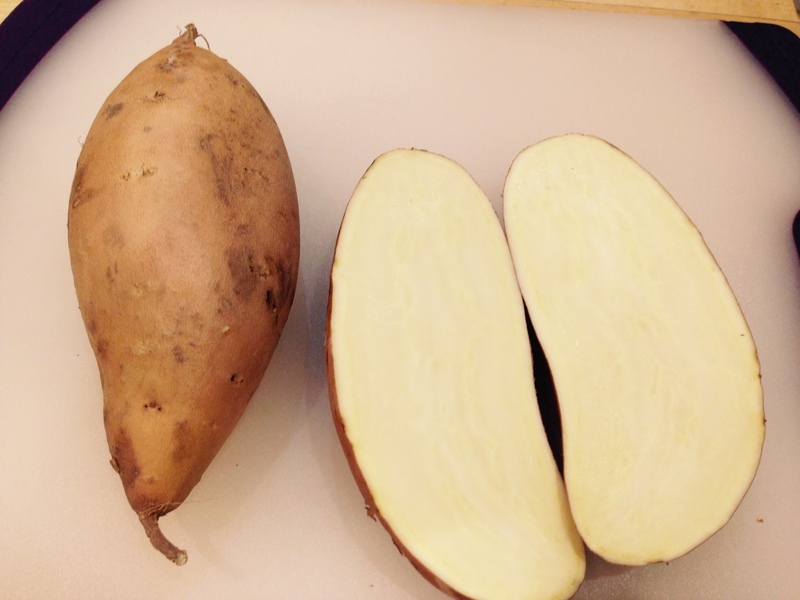 My preference is to use yellow fleshed sweet potatoes, otherwise known as Asian, Japanese or Korean sweet potatoes, available in specialty food or organic produce stores. I find them less “sweet” than the traditional orange flesh ones. Scrub the sweet potatoes, poke holes and place on a parchment or silpat lined baking sheet. Roast in the oven for about an hour or until potatoes are easily pierced with a knife. Meanwhile, in a sauté pan, cook the garlic over low heat in 2 TBS of the EVOO for about 2 minutes. Do not let the garlic burn. Add the beans (do not drain) and cook for about 5 minutes. Add the kale, season to taste with salt and pepper. Cook until wilted. When the potatoes are done, split the potatoes season with salt and pepper. Fill them with the bean mixture and enjoy! 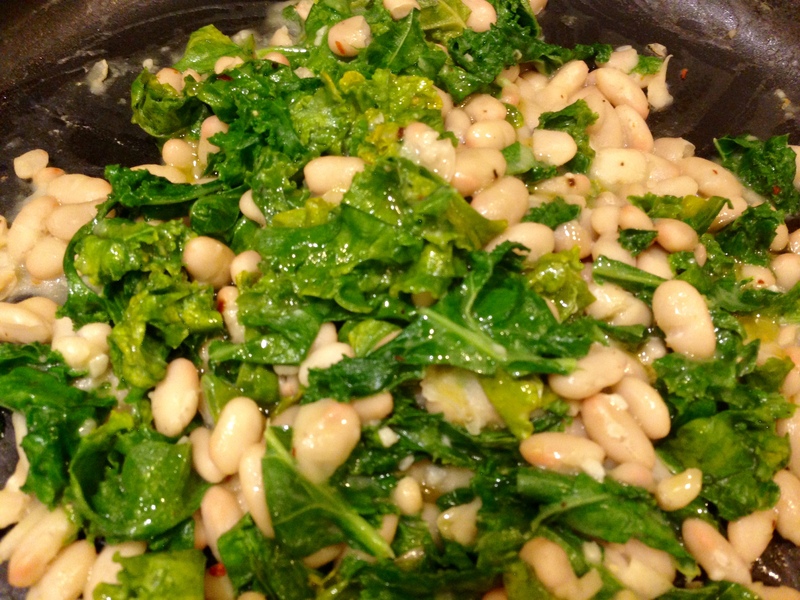 Posted on October 2, 2015 October 18, 2015 by nannetteiconnersPosted in Savory RecipesTagged food, kale, sweet potatoes, vegan, white beans. Yes, definitely easy! How long have you been a vegan? http://bit.ly/1MG8xjp May be we could follow each others blogs. I am a vegan too, and its tough at times. Fall is here and I feel encouraged! You are an awesome wife to do this! TYVM for the posts, sharing with us! http://bit.ly/1FMrx0b Please check out my posts and leave a comment!